I love a great pesto dish in the summertime. I think it’s the bright green color or maybe the garlicky, lemoney punch this adds to any meal. INSTRUCTIONS: Put basil, nuts & garlic in food processor, pulse to roughly combine. Add all other ingredients and process to your desired consistency. SERVING IDEAS: Try it over spaghetti squash with a ton of other veggies diced up and mixed in. Add grilled chicken or shrimp for more protein. 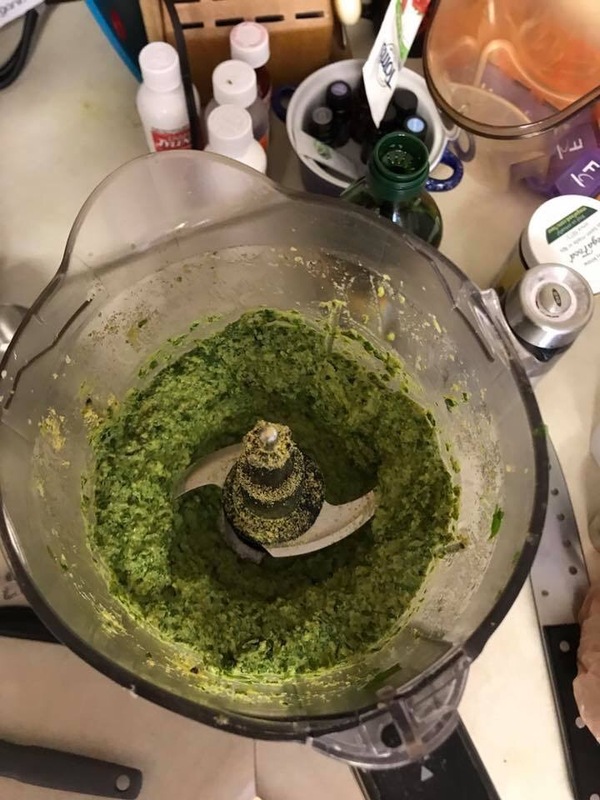 TIP: Pesto freezes well and thaws quickly so double or triple the recipe to be extra efficient. I freeze these in small containers; just enough for one meal for my family of three. Perfect solution for busy summer nights! PROPS: This recipe came from @KrisCarr of www.KrisCarr.com. She’s one of my favorite cancer-survivor-turned-health-advocate and I have ALL of her cookbooks! Please share with any pesto-loving friends!